Migos and Young Dolph connect on Zaytoven-produced "Dirk Nowitzki." A Migos tribute to Dirk Nowitzki? Say no more. What's more, the YRN trio has teamed up with their go-to beat man, Zaytoven, and they've also brought along another certified trapper in Young Dolph. Indeed, "Dirk Nowitzki" is one of many bangers on Migos and Rich the Kid's new mixtape, Streets On Lock 4. Why Dirk Nowitzki? Because the Migos stay sipping on that Texas, of course. 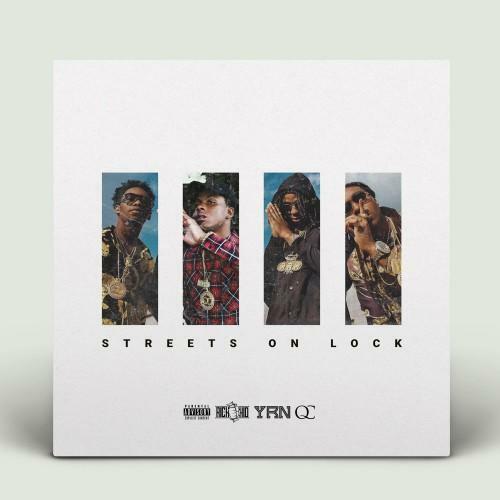 The anthemic production from Zay is one of his simpler beats, but as always, he lends a production that necessitates crisp, no-nonsense hooks from the tireless Migos. Dolph, who goes last, stays killing it when he comes through ATL. Any other favorites off Streets On Lock 4? Download the tape here.